As a quick reminder, we wanted to point out that the Double Nexus Giveaway through the DL Deals shop ends in two days. If you have yet to enter or increase your chances of winning by entering in all of the social-sharing-ways possible, you should do so soon. All entries must be received by 11:59 PM CDT on 1/12/15. 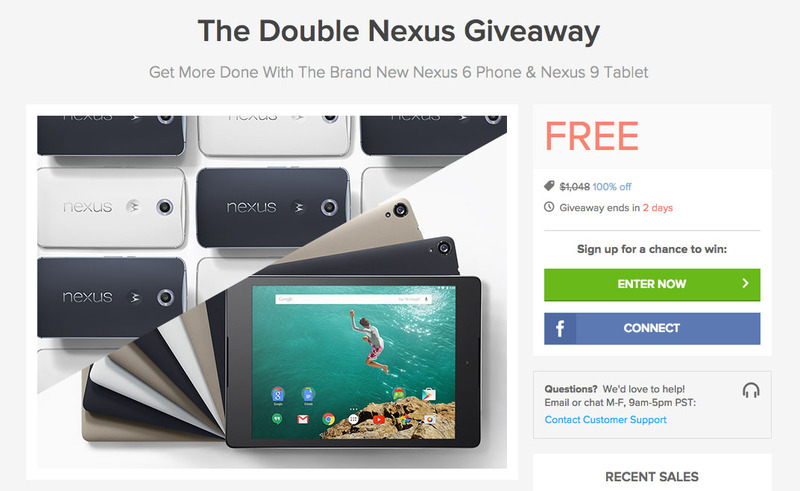 To recap, the Double Nexus Giveaway is your chance to win both a Nexus 6 and Nexus 9. To enter, you only need to sign-up to receive emails from the DL Deals shop, but can also enter in additional ways by sharing on Twitter or Google+. And that’s it!